The Hillmon case was a famous and nearly endless lawsuit of the late nineteenth century American frontier — a case that had to be tried six times and decided by the United States Supreme Court twice. This century-old unsolved mystery began in February of 1879, when a cattle dealer and sometimes ranch hand named John Hillmon said goodbye to his wife Sallie and left their home in Lawrence, Kansas, on a journey from which he did not return. Nobody would remember this matter now if John Hillmon had not taken an unusual step shortly before leaving home: he insured his life for $25,000. For a ranch hand, this was a lot of insurance — the equivalent of about $750,000 today. No one company would issue all the insurance that he sought, so he took out three different policies, two for $10,000 and one for $5000. It was later said that the first year’s premiums cost more than John Hillmon’s annual income, and it’s undisputed that he had to borrow some of the money from a friend, Levi Baldwin. Hillmon told people that he was taking this winter journey to look for a place farther west where a man might find some land suitable for starting a ranch of his own; the trip had to be taken in the cold months so he could assess the condition of the winter range. He was accompanied by a rough farmer named John Brown, who had been his traveling companion on earlier expeditions as well. Before leaving Lawrence, Hillmon agreed to be vaccinated against smallpox at the insistence of the insurance companies; his arm still bore the marks of the vaccination when he left. He met up with Brown in Wichita , and from there the men traveled roughly southwest, camping out most of the time to avoid the expense of hotels. The afternoon of March 17th the two men stopped at a site called Crooked Creek; the nearest town was Medicine Lodge. Later that night, John Brown appeared at the door of a rural neighbor to report that he had accidentally killed his companion; the neighbor rode into Medicine Lodge to summon the coroner, and eventually the body was brought back to the town for an inquest. Brown testified that he had discharged a rifle accidentally as he had been unloading it from their wagon, and the bullet had gone straight into Hillmon’s head as he was kneeling to tend their camp fire. The corpse was dressed in John Hillmon’s clothes and boots, and had Hillmon’s daybook or journal in his pocket. Moreover, several of the coroner’s jurors had met Brown and Hillmon as they had passed through Medicine Lodge a couple of days before, and recognized the corpse as the man they had been introduced to as John Hillmon; they swiftly returned a verdict of death by misadventure. The insurance companies didn’t say, at the inquest, who they thought the dead man might really be, but their agents did start to canvass the countryside, inquiring about any men approximately Hillmon’s age who had recently disappeared. When it appeared that the companies would not pay her claims, Sallie Hillmon finally filed a lawsuit, and in 1882 the matter ended up before a real jury — the first of six to hear the case. But in the meantime, two important developments favored the insurance companies. First, John Brown changed the story that he had told at the inquests, and signed an affidavit in which he agreed that the corpse at the campground belonged to a young man he and Hillmon had recruited to join them on their journey, and whom Hillmon had shot to death at the campsite. The affidavit said that Brown and Hillmon had met the man, who called himself “Joe Berkley” or “Joe Burgess”, a few miles outside of Wichita as they headed west, and that this “Joe” had agreed to let Hillmon vaccinate him for smallpox using his pocket knife and the fluid from his own fresh vaccination. And the companies located a young woman of Ft. Madison, Iowa, Miss Alvina Kasten, who testified in a deposition taken by the companies’ lawyers that a certain letter — a letter marked “Wichita, March 1, 1879” — was from her long-lost fiance, Fredrick Adolph Walters, and was the last letter she ever received from him. After greeting her affectionately (“Dearest Alvina”) the letter said that the writer planned to leave that city soon with a “man by the name of Hillmon” whom he had met there, a sheep trader. The letter also confided that Hillmon had “promised me more wages than I could make at anything else.” Walters, a cigarmaker by trade, was never seen again by his family either, and they claimed that they had received a similar letter mentioning Hillmon’s name, although they could not produce it. These two circumstances — John Brown’s affidavit and the Walters letters — must have made victory seem pretty unlikely for Sallie Hillmon, but she would not be talked out of pursuing her claims. The first two juries who heard the case, in 1882 and 1885, could not decide it: they hung. This may have been in part because before the first trial John Brown changed his story yet again, and now said that his original story about accidentally killing Hillmon was the true one. He testified that he had only signed the affidavit about the killing of “Joe Berkeley” because a lawyer representing the insurance companies had persuaded him, after weeks of duress, that he would be prosecuted for murder if he did not sign. The affidavit, he said, had been written by the insurance company lawyer. John Brown’s contradictory statements might have cancelled one another out, but still there was that letter, which was hard to explain except on the premise that the dead man was Frederick Adolph Walters. In the third trial, however, in 1888, the trial judge kept the “Dearest Alvina” letter away from the jurors, ruling that it was hearsay. This ruling was quite correct as the letter was certainly hearsay and there was, at the time, no recognized exception to the hearsay rule that the letter would have satisfied. Deprived of any knowledge about the letter, the jury voted unanimously for Sallie Hillmon. The insurance companies did not take this defeat lying down; they filed an immediate appeal to the United States Supreme Court. And when the case reached the Court, the Justices did something rather amazing: they invented a new exception to the hearsay rule (an exception for statements describing the intentions of the speaker or writer), and said the letter should have been allowed in evidence because it met this description. So the case was sent back to be retried. The Supreme Court’s 1892 decision is one known to all trial lawyers and judges, and the rule it invented, now called the “state of mind” hearsay exception, is still one of the most important rules of evidence in U.S. law. In fact, it was teaching this case many times that aroused my curiosity about the story behind it. Many machinations attended the case’s argument and decision before the Court — it seems that one Justice’s ambitious law clerk, who later became the Dean of the Harvard Law School , actually invented the rule. The fourth and fifth trials resulted in hung juries again, but in the last trial, in 1899, a new witness appeared: a man named Arthur Simmons, the owner of a cigar factory in Leavenworth, who testified that he had employed the young cigarmaker Fredrick Adolph Walters in his factory for a few weeks in 1879 — two months after the death at Crooked Creek. The insurance companies suggested that nobody could remember an event or a face from twenty years before, but Simmons was confident, identifying Walters from photographs and also producing written employment records to confirm his testimony. (There was also an attempt to bribe a juror in this trial, which the juror reported to the judge, but the newspaper accounts do not disclose which side was responsible for the attempt.) This jury again found in favor of Sallie Hillmon, the companies again appealed, and the Supreme Court again overturned her victory (this time on more technical grounds). But the companies’ taste for this litigation had finally been exhausted — they settled up with her for the face amounts of the policies plus interest. It’s doubtful Sallie ever saw the money, however — she had sold off her interest in the lawsuits over time to finance the whole enterprise. For many reasons I think the man who died at the campground was John Hillmon after all, and that the insurance companies probably located Frederick Adolph Walters quite alive during the fall or winter of 1879-80, got him to write, backdate, and sign the”Dearest Alvina” letter, and persuaded Alvina Kasten to lie about when she received it. There are discrepancies between the John Brown affidavit and the “Dearest Alvina” letter, and of course there’s that Arthur Simmons testimony. And there’s much more that has led me to this conclusion — too much to include here. (But more here if you are interested.) I also believe Walters was never heard from again because the companies paid him to disappear (he seems to have been a bit restless, and Arthur Simmons recalled that he often boasted of having to move on from a town because of his “love scrapes”). If I’m right, the Supreme Court probably invented an important legal rule– one that stays with us even today– in order to keep John Hillmon from pulling off a scam. Only it seems that they were wrong about that, and that it was the insurance companies and their lawyers who were the wrongdoers. But these are my historical conclusions. I hoped that an examination of the remains, buried in Oak Hill Cemetery in Lawrence, would allow us to come to a confident solution on the question of the corpse’s identity. 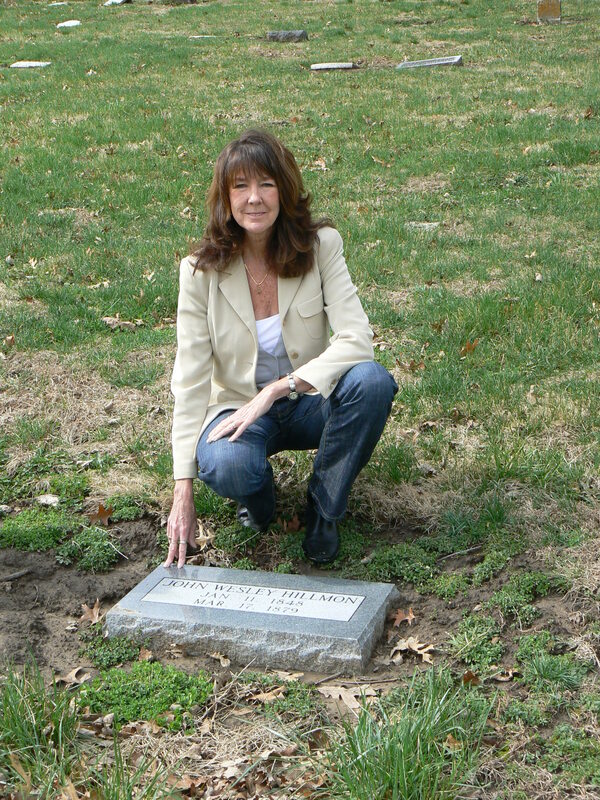 On March 31 of 2006, after a lengthy process of negotiation and litigation, I obtained a court order from the district court of Douglas County, Kansas, permitting the disinterment and analysis of the remains buried in the grave recorded as that of John Hillmon. On May 19, 2006, we accomplished the exhumation of the remains pursuant to the court order. My colleague Dennis Van Gerven, a forensic anthropologist noted for his work with mummies exhumed in the Sudan, directed the operation. An account of the disinterment, and of the results, may be found on this site. The Hillmon Concealment, by John Benjamin Lewis and Charles Carroll Bombaugh, from Stratagems and Conspiracies to Defraud Life Insurance Companies: An Authentic Record of Remarkable Cases, pages 173 – 180. The Hillman Case, by T.A. McNeal, from When Kansas Was Young, pages 89 – 92. “The Case of the Anonymous Corpse”, by Brooks W. McCracken. American Heritage, June 1968, Vol. 19, Issue 4.